A little over three years ago we bought 12 BubbleBalls, piled them up in a garage, and the first full-service bubble soccer business in the Mid-Atlantic was born. 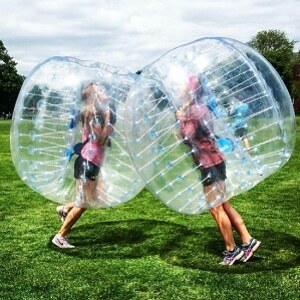 We had just started a small event company but thought BubbleBall could be a fun side project. Not to mention it looked like a blast and we couldn't find anywhere to play in Maryland. Fast forward 3 years and BubbleBall MD has grown into the largest and highest-rated bubble soccer provider on the east coast. Thanks to our amazing customers and passionate team, we have been fortunate to meet over 85,000 adventurous Bubble Ballers and host 1,100 parties and events to-date. 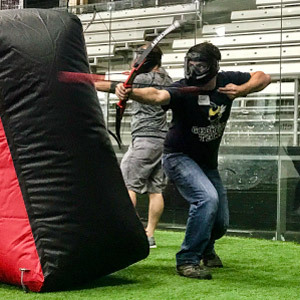 After seeing how much people loved playing BubbleBall, we started searching for new games that created the same thrilling experience. 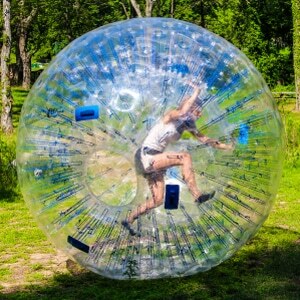 When we discovered Human Hamster Balls and Arrow Tag we knew we'd found what we'd been looking for. Wonderfly Games is the evolution of fun into something that better represents our collection of games (and future games) along with our mission to deliver unique experiences that bring people together. 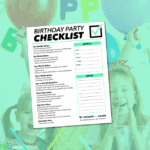 Whether you are hosting a birthday party, corporate team building event, school function, or just want to have fun with your friends, we promise to make your experience one you will never forget. Our dates often book weeks in advance. See if your date is available in 15 seconds.